This is the third article in our series in recognition of Patient Safety Awareness Week. Simulation is a core element of patient safety. 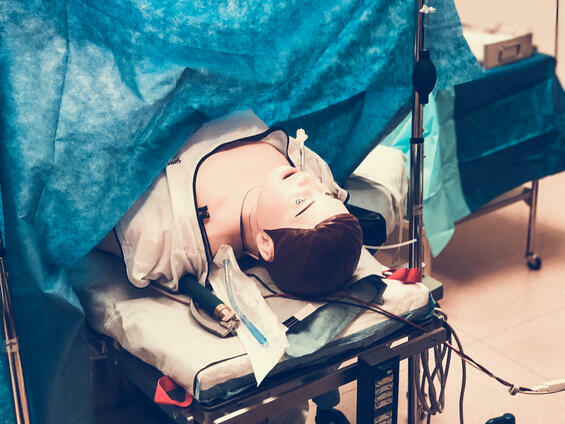 Using manikins during staged clinical events, these exercises allow clinicians to work through real-case scenarios in a safe environment with no risk to patients. Clinicians are able to focus on skill assessment, refresh muscle memory and identify areas that may need additional preparation. MEDNAX established its current Simulation Program in January 2016, and roughly a year later, earned provisional accreditation through December 2019 from the Society for Simulation in Healthcare. MEDNAX’s program is one of roughly 87 accredited simulation programs in the United States, and only 100 or so programs worldwide. MEDNAX is helping lead patient safety with initiatives such as its anesthesia High Reliability Organization Program (HRO); a commitment that is expanding across all MEDNAX service lines. Simulation is as important to that effort as the HRO elements of reporting and accountability. 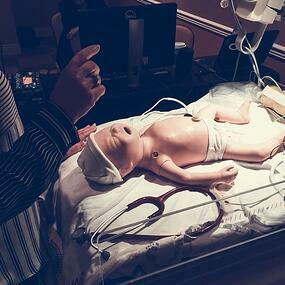 It is already a rarity for a national medical group to provide accredited simulation at the corporate level. MEDNAX is poised to serve an even greater role in the future by expanding on-site simulation services and simulation support for MEDNAX-affiliated practices and clinical partners. The Simulation Program works to customize scenarios for the unique needs of its participants and occurs at the facility of a clinical team. “We come to you,” said Enfinger. The programs are streamlined to run through a case, and the exercise is videotaped, which is used for any necessary debriefing afterward. Debriefings can be modified to match the goals of the team, the case and the specialty. 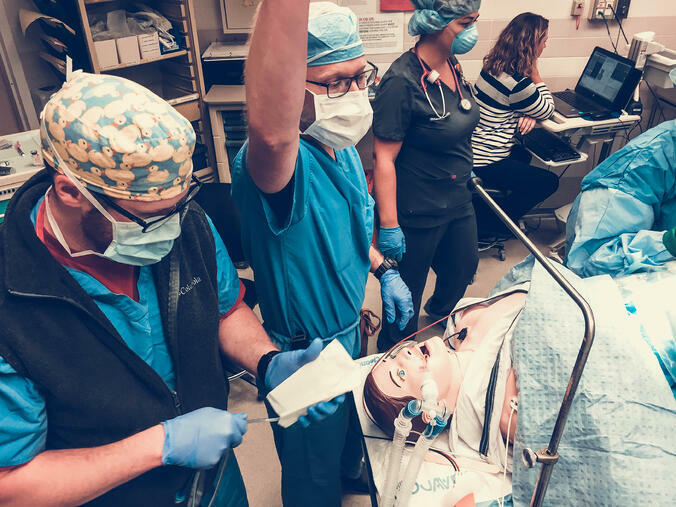 “Especially during the past few years, simulation has gained real traction in the health care environment as an essential tool for patient safety,” said Enfinger. It is not uncommon for a medical director to call shortly after a simulation and share how the medical team just encountered a case that mirrored the simulation scenario. “It might have been a unique case, he said, “but thanks to simulation, the team was completely prepared,” he said. William Enfinger is certified as a Healthcare Simulation Operations Specialist (CHSOS). In 2017, he was named a Distinguished CHEST Educator as a member of the inaugural class of recipients by the American College of Chest Physicians (CHEST). This honor is given for national-level recognition of excellence in continuing medical education. Gillian Gonzaba RN, NNP, BC, LSSBB, is a quality improvement specialist, a TeamSTEPPS master trainer and a Lean Six Sigma Blackbelt. Interested in the simulation program? © 2019 MEDNAX Services, Inc. All Rights Reserved.